The Nashville Predators whupped the Maple Leafs 4-0 on Monday, thanks to a shutout performance from Pekka Rinne, a deflected slapshot goal from P.K. 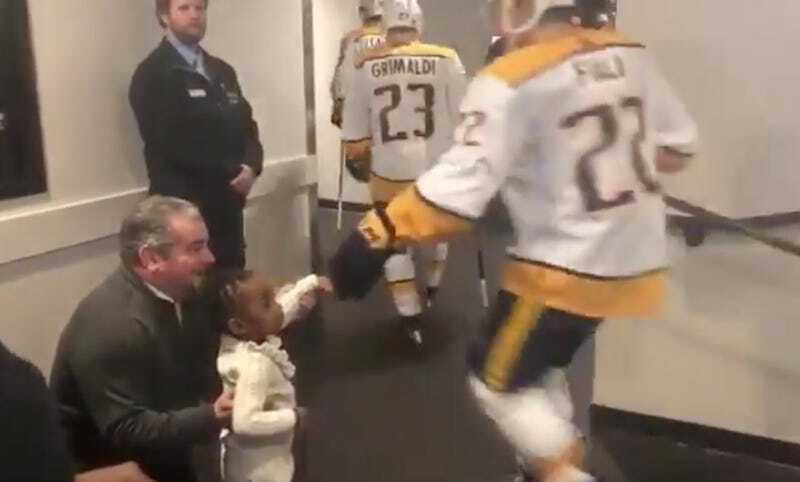 Subban, and, most importantly, some expert motivational dap-ups from Subban’s niece, Angie. They couldn’t have done it without Angie, as three of the four goal-scorers bumped fists with her. The tape suggests that she will someday be an elite hockey player herself.